Click on Cache in Cache Setting. Conservative caching: Allows to choose which modules are cached. You can login to each module and enable it individually. Conservative caching is better for frequently updated sites. 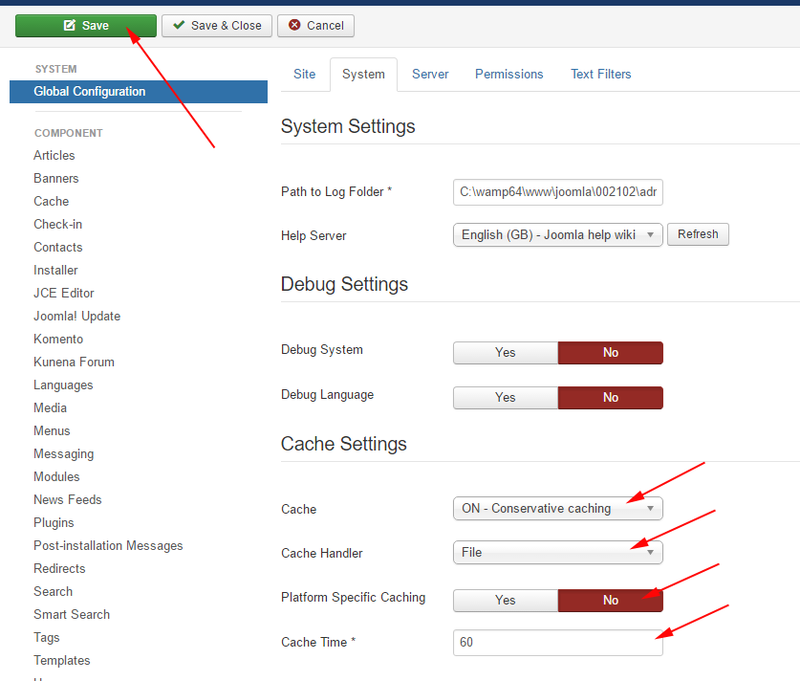 Progressive caching: Affects all modules and overrides any cache settings inside individual modules. Progressive caching is better for sites that don’t update very often. The Cache Handler can only be set to “File“. 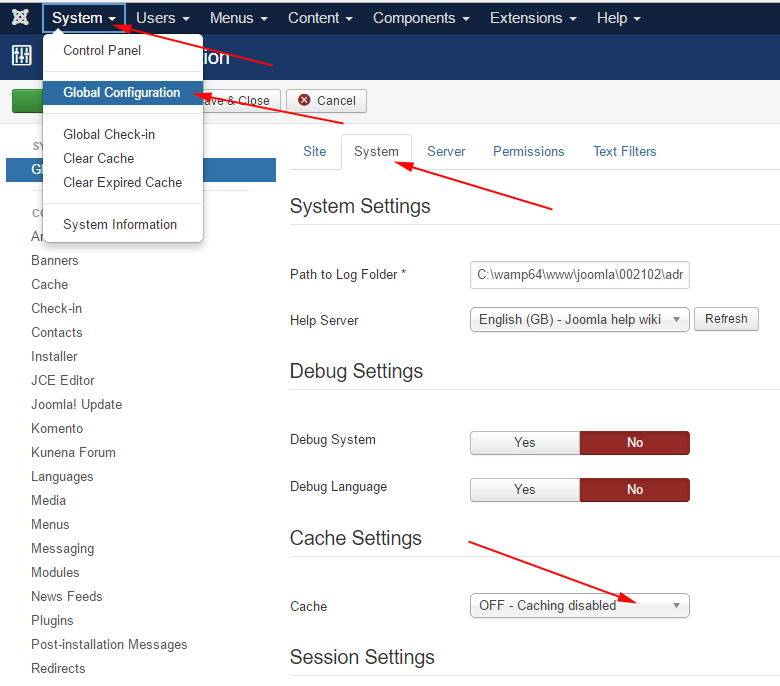 Joomla actually offers more options , but it takes advanced users to enable this, with additional plugins and set-up. Select Caching Time. The default is 15 minutes, but for sites that are not updated often, you could set this much higher. Platform specific caching – Use this option when you offer device-specific content. The most users don’t need this option, also if you are using CSS to hide things with classes like hidden-phone.You can enable/disable cache in module. No caching: don’t cache this module if Conservative caching is enabled. It takes snapshots of entire pages including everything – component, modules, plugins and a template. It is the fastest, the widest and the least flexible approach of all caching options. Go to go to Extensions -> Plugin . Note. This option can override some global cache settings. You can select individual cache and click Delete button.